The U.S. Census doesn’t put love on its “Reasons for Moving” chart, but it should. So many of us move for love – to be near our girlfriend, fiancé, spouse, or family. Emma fell deeply and madly in love with three men and she moved around the world for them. Emma discovered a few things about moving for love. She learned to be in control of her own destiny and that friends are also important to her happiness. Life with love, but without friends, can still feel lonely. Soon after Emma graduated from college she met Pascal at a catering company. The attraction was immediate and Emma fell hard. They decided to move to Île de Ré and begin their life together in France. Emma packed up her grandmother’s silver and the books that her mom read to her as a child. She combined her personal possessions with Pascal’s shipment overseas. This romantic love story headed to Europe. Emma and Pascal settled into their ideal life on the French island, waiting for their possessions to arrive. Once the items arrived in Amsterdam, the shipping company said they would need to pay $10,000 to release their items. Pascal told Emma to pay the bill. Emma didn’t have $10,000 to retrieve her items, so the shipping company said the items would be sold at auction. Emma asked for details about the auction so she could buy her items back, but she never heard from the shipping company again. Emma felt duped. She moved back to the U.S. three weeks later without any of her prized possessions and without Pascal. This was not the storybook romance Emma envisioned. I lost my prized possessions. Emma later moved to Los Angeles where she fell in love with James, a British film editor. After her experience with Pascal, she learned to keep her possessions separate and Emma lived in her own apartment. Her mantra now: Be in control of your own destiny. Unfortunately, Emma found it tough to meet friends in Los Angeles. “It was so lonely to live in the apartment. So lonely. Los Angeles was the hardest place to make friends. The office was very small. I couldn’t find anything social to do. I didn’t know where to go.” Things got even tougher when James’s company decided not to renew his visa and Emma lost her job. It felt so lonely when I lost my job. James returned to England and now Emma felt completely alone. “I wasn’t working. I had no office, no friends, no one to engage with. I’d wake up and at 9 o’clock I’d get my coffee, sit in my little apartment, and go through Variety and the Reporter. I’d send my resume to work for free in commercials to be a runner and get coffee. I’d have a three-day shoot, then a one-day shoot, but never with the same company or the same people. It was very difficult to network. In the meantime, James had gone to London. I was really alone. It sucked.” It took about a year, but things eventually got better. Emma landed a job at Universal. Once that happened, things got easier. Emma would meet people for drinks after work or have lunch with her script partner. After a year of living in Los Angeles, Emma started to develop friendships. Then, on a weekend trip to visit Emma, James proposed. Emma packed up her life and moved to England. Love brought me to England, then Ireland, then back to the U.S. Soon after Emma and James tied the knot, the relationship started to head south. They tried counseling, but it wasn’t meant to be. Five years later, their marriage ended in an amicable divorce. Years later, Emma met an American in London named Derek. After several years of dating, Derek received a job offer he couldn’t refuse. Emma and Derek got married, moved to Ireland for a couple years, and then relocated to San Francisco. Emma knew about moving for love and she embraced their adventures with excitement. 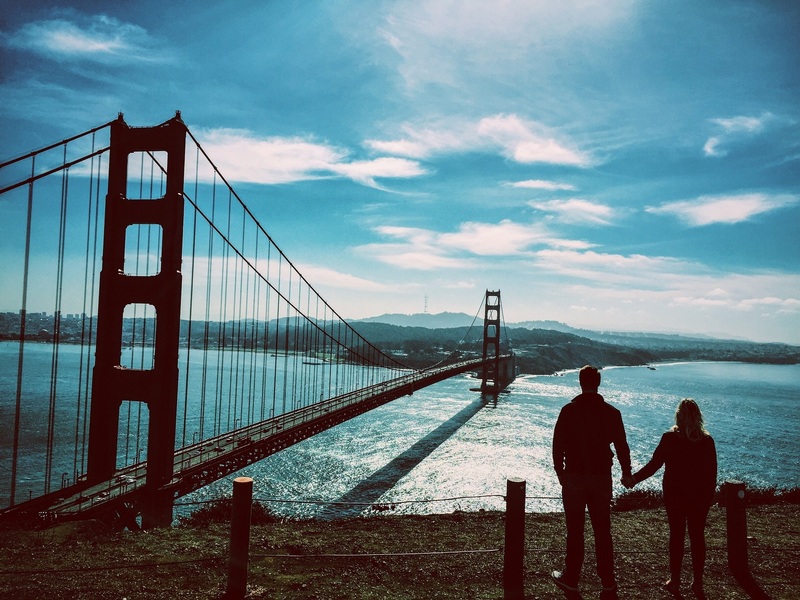 When Emma moved to San Francisco with Derek, she felt determined not to face the same loneliness she felt in Los Angeles. She listened to her mother’s advice and joined the Junior League. Emma claims, “It was one of the best things I had done even though it went against who I thought I always was. As a teenager, I was the kid wearing black and smoking cigarettes. I was trouble. To see me in the junior league was like, oh, okay, but I met some people there. I should’ve done it when I moved to L.A.” When Emma and Derek started having kids, it became easier to meet other moms through parent groups and classes. Joining the Junior League was the best thing I did to meet friends. I’m glad Emma found the love she was seeking for so long. She certainly had some hurdles along the way. Despite all this, she saw beautiful places, met people of different cultures and tried delicious food. Her rich experiences, I am sure, will remain with her all her life. This story proves there IS hope after a few broken hearts. Thanks for sharing. Thank you, Gilbert-Ian, for your comment. You are absolutely right. Emma never gave up hope.